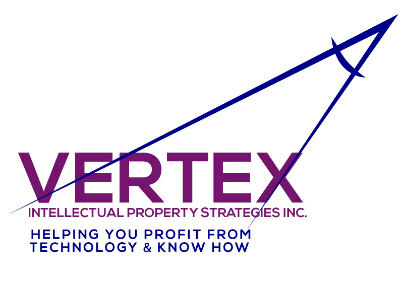 Listed below are intellectual property strategies and management, technology commercialization, and technology licensing questions and opportunities that Vertex helps its clients address. In many cases, at the onset of our client relationship, our clients are unaware that some of these issues and business opportunities even exist. How do you identify and determine what IP rights that you possess? Is your technology patentable? Would patenting your inventions contribute to the success of your business? Should you patent your inventions or keep them as trade secrets? What are the benefits and implications of patenting and trade secret strategies? You may feel that your IP could be at risk because your staff doesn’t understand IP. What can be done to address this concern? What steps can you take to safeguard your employee created confidential information and trade secrets? Is invention ownership addressed in employment agreements? When you hire contractors to work on technology development projects that may produce new IP; what do you need to do to protect your rights to exploit the newly developed IP that you commissioned and paid for? How can you best manage your IP portfolio; now and as it grows? You have a portfolio of technologies with significant commercial potential, but there is a key element missing; so how can you acquire the missing technology without having to undertake costly, lengthy and risky technology development in-house? You have a new technology and proprietary products that you would like to commercialize. What are the alternative commercialization approaches to consider? What are the market needs for your technology/products and how will this impact your on-going technology development programs? What major businesses operate in the fields where your technology/products would be useful? What is the overall market opportunity for your technology/products? What patents do your competitors possess? How might you benefit through licensing your IP rights? Is licensing a fit with your business plans and objectives? You have an existing technology and IP rights that you would like to utilize in a broader range of applications. How can this be accomplished? How do you license the IP rights that you have developed? What are your IP rights worth and what royalty rate is appropriate in a license agreement or an outright sale of your IP rights? How do you identify potential licensees for your IP rights? What elements need to be included in an IP license agreement? How do you structure a licensing deal? How do you negotiate a license agreement?